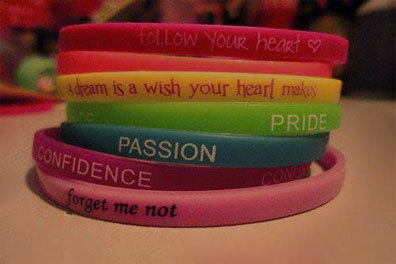 What can be more iconic than using personalized wristbands as a fashion statement? Think of it! These wristbands can help in a number of zones even if it is a government sector or a non-profit organization, for spreading awareness about a cause or organizing any sports or cultural event. Also, they are used as identification bracelets at parties and as passes for an event. The popularity of these rubber bracelets has grown to a great extent in the modern market and used by most of the people. These personalized wristbands are 100% latex free and one can easily get them with a wide range of style and color options to choose from. .
At WristbandBuddy, the experienced team is highly committed to offering the best customer service along with premium quality products to its customers. This helps you to create awareness about your products and services among the potential customers. If you are looking for custom products, we provide you the best. Not only for fashion or promotional purposes, but the personalized wristbands can also be used to identify patients in hospitals, athletes, theme parties and in many more places.